Yolanda Adams has accomplished what few singers before her have ever achieved: The ability to attract fans from all walks of life without ever straying from the intricate roots that nurtured her Grammy winning voice in the first place. The oldest of six siblings, Yolanda was raised in Houston, Texas, attended Sterling High School and graduated from University of California Berkeley . After graduation, she began a career as a schoolteacher and part-time model. Eventually she gave up teaching to perform full-time as a lead singer. Her solid church background and love of all kinds of music, which Yolanda says: "was inspired by family- everything from Stevie Wonder to Beethoven," left her with a respect for traditional musical hues, as well as a desire for more contemporary interpretation. "Too many times we're put in a box by musical labels," she says. She signed a recording contract with Sound of Gospel which yielded her first album “Just As I Am” in 1987. 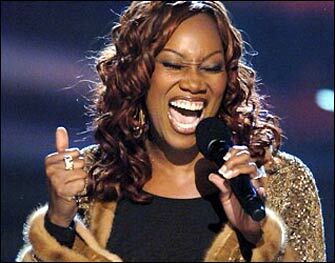 In 1990, Yolanda Adams signed to Ben Tankard's independent label Tribute Records and released “Through The Storm”. Two years later, Yolanda followed with "Save the World", which included her first signature song "The Battle Is The Lord's". Her next release was 1995's "More Than A Melody", which featured production work from Ben Tankard, O'Landa Draper, and BeBe Winans. The single "Gotta Have Love," from that album featuring Tony Terry on background vocals, gained mainstream notoriety and was her first single and music video. The disc won a Soul Train Lady Of Soul award, earned her a Grammy nomination, and unforgettable live performance spot on the 1996 Soul Train Music Awards telecast. “Yolanda... Live In Washington”, released the following year, snagging her yet another Stellar award, and another Grammy nomination. 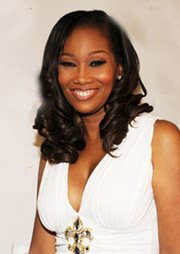 "On her major-label debut, accomplished singer Yolanda Adams effortlessly mixes the sounds of deep gospel soul and smooth R&B with contemporary jazz and rap. Not just updating black gospel music, she fearlessly revives it with contemporary music--and not in any hokey way, mind you--and a timeless, unassailably intense spirituality." --Mike McGonigal. "Recognized in the last decade as one of modern gospel's seminal voices, Yolanda Adams is clearly poised to take up the torch from foremothers such as Mavis Staples and Aretha Franklin with her Elektra debut, Mountain High... Valley Low. Adams brings her music to a wider audience not by watering down her message, but by making a record of supreme power, conviction, and glorious beauty, incorporating elements of traditional gospel, hip-hop, jazz, and R&B into daring arrangements. "The Things We Do" is a gorgeous ballad with samples of JFK and MLK speaking some of their most famous words of commitment. And "Yeah," easily one of 1999's best R&B singles, is a masterfully ebullient song of praise and dedication marrying thick, funky beats with divinely soulful vocals. A bright and shining testament to faith in a higher power, Adams uses her extraordinary vocal prowess to uplift her listeners and to elucidate the pure joy of spiritual and musical flight. She not just crosses but banishes lines of separation." --Paige La Grone. In 2000 Yolanda released a Christmas album, and in 2001 she released a live album “The Experience”. 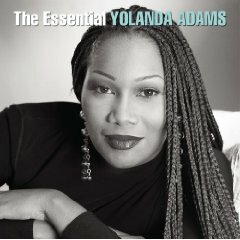 “The Experience” netted Yolanda a second Grammy Award for Best Contemporary Soul Gospel Album. “Believe”, which included the hit "Never Give Up" was released in 2001. She would later go on to perform this song at "The Salute to Gospel Music" at the White House during President George W. Bush's administration. “Believe” was certified Gold in 2002. “The Divas Of Gospel”, with Albertina Walker (queen of gospel), was also released in 2001. 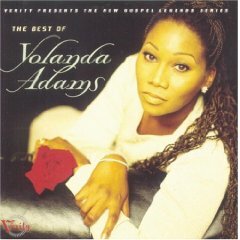 Yolanda returned in 2005 with "Day By Day" featuring the singles "Be Blessed," "Someone Watching Over You," "This Too Shall Pass", and "Victory" which was prominently featured in the movie The Gospel. Next was a greatest hits collection entitled “The Best of Me" released in May 2007. Her song "Hold On" was included in a compilation in support of Barack Obama's campaign entitled 'Yes We Can: Voices of a Grass Roots Movement'. How does one top all that, you may ask. 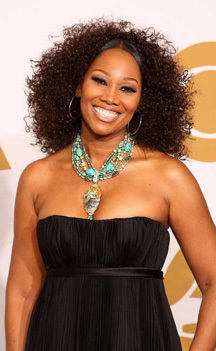 The five-time Grammy Award winner has joined with thirty year old broadcast veteran Brother Larry Jones, comedian Marcus Wiley, and Minister Anthony Valary hosting The Yolanda Adams Morning Show which currently airs on Urban Gospel stations owned by Radio One. The snow is now on 37 stations nationwide airing in most major markets including New York, Houston, Washington DC, Atlanta, Philadelphia, and Cleveland. Syndicated One just announced that they have added Memphis to that list, Gilliam Broadcasting’s WLOK and WGOK Mobile.